The objective of this EU-funded project is to help develop a healthy and safe work environment in the hairdressing sector. 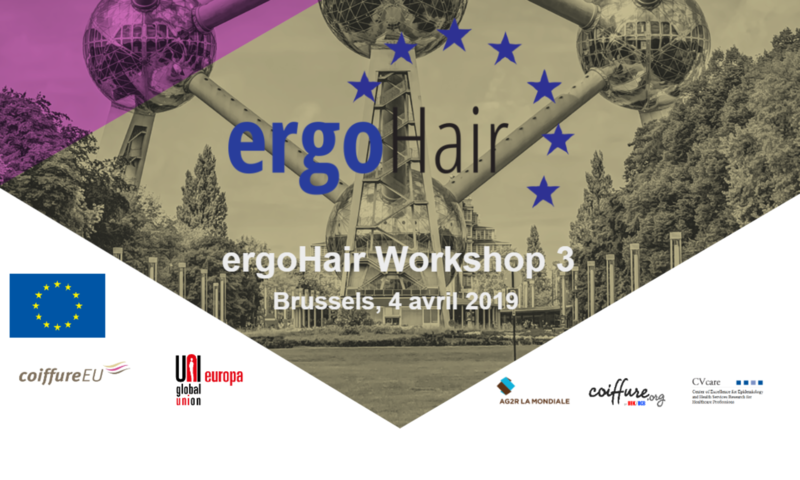 To accomplish this aim the capacitiy of the social dialogue on a European and national level needs to be enhanced in order to promote effective ergonomic workstations in the small and medium sized hairdressing salons. The cooperating partners in this project are on the european level Coiffure EU (employers organisation) and UNIglobal Union Hair & Beauty (trade union) and on regional level the social partners UBK/UCB (national employers organization in Belgium), Les Institutions de la Coiffure (statutory accident insurance for hairdressers in France) and the Competence Centre for Epidemiology and Helth Services Resaerch for Healthcare Professionals (CVcare) in Hamburg (Germany). The development of recommendations and standards for preventive and ergonomic measures aims to raise the awareness for the strains and stresses in the hairdressing trade and to reduce work related musculoskeletal disorders on a Europe-wide scale. This project will include three 2-days workshops in three EU countries bringing together social partner organisations from the hairdressing sector, cross-sector umbrella employer organisations and trade unions, as well as national authorities and experts who specialise in OSH aspects in hairdressing and ergonomics. The first of these three workshop took place in Hamburg on 12./13. October 2017 and included the presentation and discussion of the current state of research and the opinions of experts who specialise in ergonomics in the hairdressing sector or the prevention of MSD in the workplace, and to map out existing national prevention strategies. The second workshop will be held in Paris on 11./12. April 2018 and will focus on an active exchange of information about specific ergonomic requirements for equipment/furniture for hairdressers and customers resulting from ergonomic studies and current regulations and standards for furniture producers and outfitters. This dialogue may serve to ascertain whether the hairdressing equipment/furniture meets the latest and scientifically proven ergonomic standards. The third workshop, on 04. April 2019 in Brussels, will include a discussion on potential pathways and identification of stakeholders for dissemination of a target group-specific set of recommendations. A marketing and dissemination strategy with media specialists and health promotion experts will be discussed.